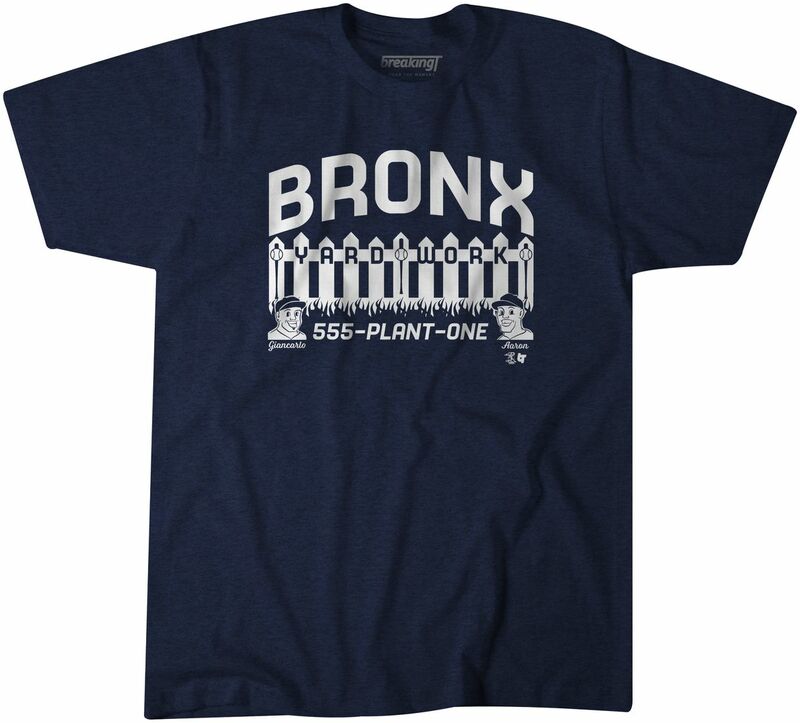 The Yankees are going to rake in 2019, and BreakingT has just the shirt for the occasion. Vox Media has affiliate partnerships. These do not influence editorial content, though Vox Media may earn commissions for products purchased via affiliate links. The Yankees did it again. Earlier today, the team released another promotional video ahead of the 2019 season. In it, Aaron Judge and Giancarlo Stanton pitch viewers on a new landscaping business: Bronx Yard Work. Gleyber Torres, Gary Sanchez, and others all lend a hand. The whole short is well worth the watch. 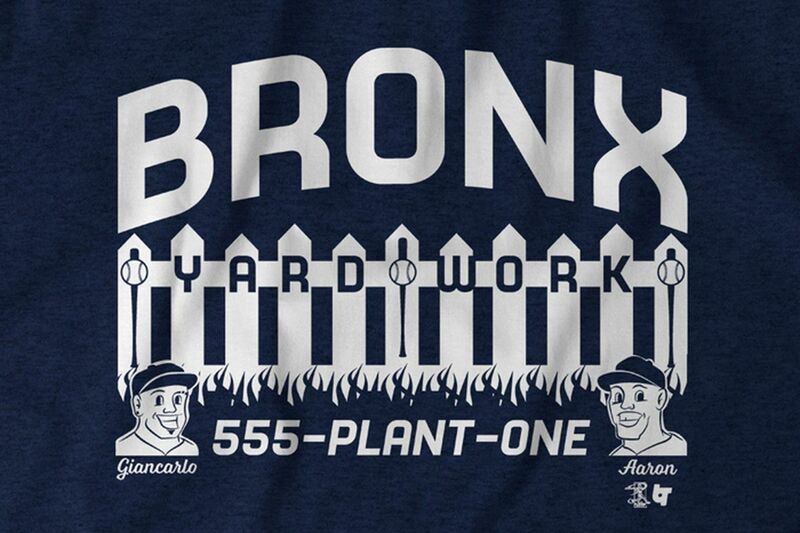 To celebrate the arrival of Opening Day, and this phenomenal video, our friends at BreakingT produced their own Bronx Yard Work shirt. As always, BreakingT shirts are comfortable, MLBPA approved, and made in America. You can grab yours by clicking here. Order one today and represent the best lawn and garden company in the empire!